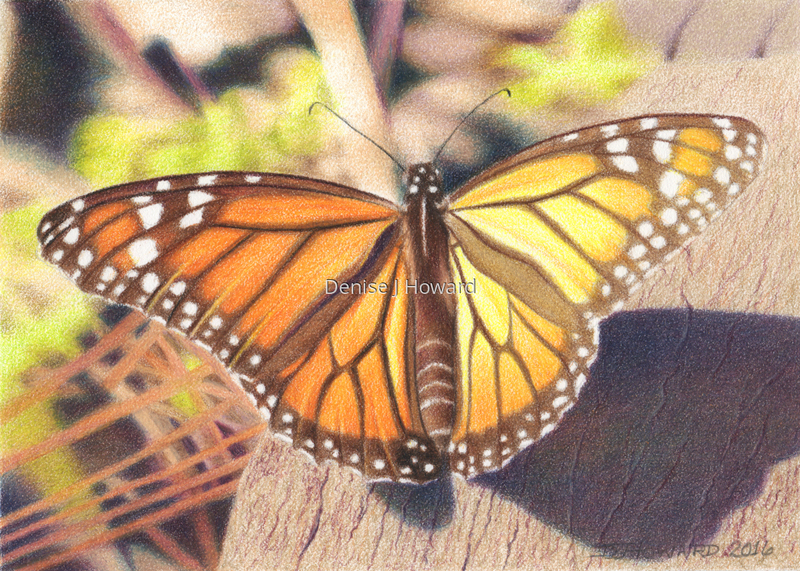 Another in my series of monarch butterfly portraits. This one was at the sanctuary in Pismo Beach, CA. Colored pencil on Stonehenge Lightweight paper. 5" x 7"7" x 9.75"9" x 12.5"11" x 15.5"13" x 18.25"13.25" x 18.5"